Don’t know what is a QR Code or how businesses use them? Don’t worry. 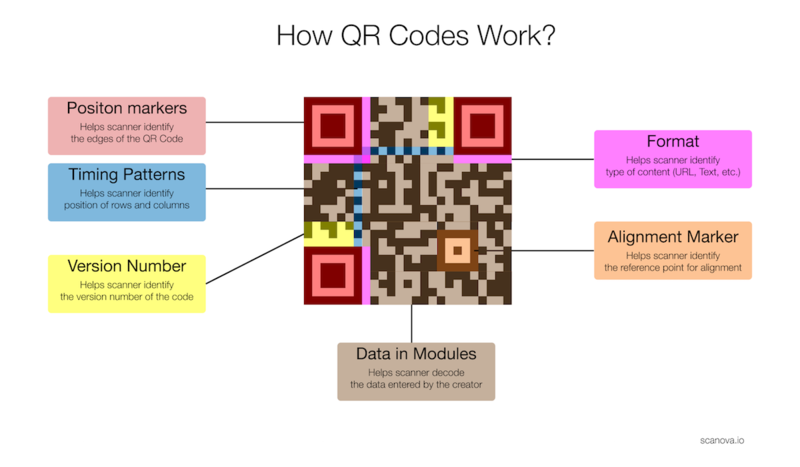 In this exhaustive guide, we have covered the basics of QR Code technology. We update our page often so don’t forget to add us to your bookmarks. A Quick Response Code (or QR Code) is a popular type of a two-dimensional barcode. It encodes alphanumeric information. To decode this, you can use a QR Code scanner/application on a smartphone. Japanese company, Denso Wave Corporation, developed Quick Response Codes in 1994. Their role was vehicle tracking and high-speed component scanning in the automobile industry. Since 1994, QR Codes have come a long way. In the smartphone era, these square-shaped barcodes have found extensive applications. From inventory management, marketing & advertising, security, mobile payments, education, to personal use. Different industries are using QR Codes immensely. Statistics show how their use is growing day-by-day. This 2D barcodes stores information such as webpage URLs, text, and contact information. You can view this information by ‘scanning’ it using an app on your smartphone. It’s easier than clicking a picture. QR Codes are so easy to use that anybody can create and use them for their benefit. Print advertisements to allow readers to visit the website, register for an event, etc. Here is a quick guide on QR Code best practices and How not to use these Codes. Note that this categorization is based on how data is stored in a Quick Response Code. Based on type of content, there can be many categories. The number of QR Code types you can create depends upon the QR Code generator that you use. Different such generators offer different categories. For example, Scanova QR Code generator allows you to create up to 23 types of Quick Response Codes . This depends on what you want your audience to do – see a website, listen to an audio, or make a payment using Paypal. The easiest way to generate a Quick Response Code is to use an online QR Code generator. You will get a dashboard where you can specify target data, type of QR Code (static vs. dynamic), and download its image. Here is a useful to choose the best QR Code Generator for your requirements. If you have a mobile application or an information system that needs to generate QR Codes on trigger, then you need a QR Code API. It will integrate with your system and generate a Quick Response Code on demand. Some QR Code service providers give the option of bulk QR Code generation (or batch generation). This is needed in case you need (say) 10,000 Quick Response Codes each with a unique ID. You will send the data in a spreadsheet and the service provider will share the QR Code images. Note that a customized QR Code attracts much more scans than a plain black-and-white one. If you’re a marketer and you want people to scan your QR Code, create custom QR Codes that go with your brand logo, color, etc. If you own a smartphone that has a camera, you can decode a Quick Response Code. There are a number of QR Code scanning applications on all major app stores of iOS, Android, Windows, and Blackberry OS platforms. i-nigma is one such application that works well on both iOS and android. Also, because of the popularity of QR Codes, some smartphones now have inbuilt QR Code scanners. Check if your phone already has one. A handheld or fixed optical scanner, like the ones used to scan barcodes at retail stores, can scan QR Codes. These are used when the scanning volume is higher (ticketing or mobile payments). Read more about: How QR Codes work. A Quick Response Code can store upto 7,089 numeric characters (without spaces) or 2,953 alphanumeric characters with spaces. Compare this with the capacity of barcodes-20 numeric characters (without spaces). The higher capacity of QR Codes allows them to be used in various industries. From marketing, security, payments, and other solutions. Note that they can store web URLs unlike barcodes. Compared to a barcode, a QR Code can store more information in a smaller area of space. This is helpful in inventory management as it is possible to print more QR Code labels in the same amount of space, saving printing costs. For marketers also, this feature is extremely helpful as they usually have limited real estate on product packaging or promotional material. See what should be the minimum size of your QR Code. This is one of the primary reasons of QR Codes’ invention. The automobile industry used barcodes on spare parts. But, the factory environment resulted in wear and tear of the barcode. This resulted in the barcodes being no longer scannable, causing delays and inefficiencies. To avoid this, Denso Wave invented the QR Code. Quick Response Codes can tolerate up to 30% of damage or dirt i.e. remain scannable even if damaged upto 30%. This is possible due to error correction algorithms. QR Code Generation tools take advantage of the error correction in QR Codes. They introduce ‘damage’ in the form of design i.e. image or logo in the center of the 2D barcode. Unlike barcodes, a QR Code is scannable from any angle. It has ‘eyes’ in three corners. Eyes help the scanning device determine its orientation. This is useful as users do not have to rotate the QR Code (or themselves) to scan the code. Scanning here is much faster compared to barcodes. This is to make it possible to encode single-byte languages (English) as well as double-byte languages (Japanese, Chinese, Korean). These were the technical advantages of a Quick Response Code over a barcode. 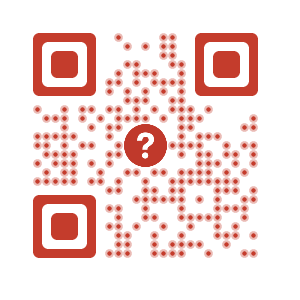 If you are still reading, you have covered all the basics of what a QR Code is. Learn to create visually-appealing and dynamic QR Codes for your campaigns to attract more scans.